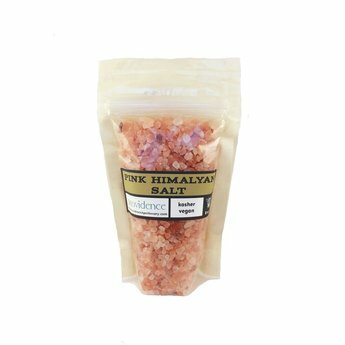 Also known as Himalayan Rock Salt, this salt is hand-mined and harvested from ancient salt beds, deep under the Himalayan Mountains. For therapeutic purposes, the Himalayan can be used in baths to relax the body, stimulate circulation, sooth sore muscles, and remove toxins. It is reputed to assist with relief from arthritis, skin rashes, wounds, and flu and fever symptoms. Pink Himalayan salt is said to be the purest form of natural salt available and comes from deposits at the bottom of the ocean from over 250 million years ago. We recommend storing this salt in an airtight container out of direct sunlight. Heart patients must follow the advice of their physician before taking baths in which magnesium is used due to its ability to lower blood pressure.